Related special projects and events. You can choose which program to support, or make a general donation to let us choose where the need is greatest. You can mail checks to East County Media at 4438 Hideaway Place, La Mesa, CA 91941. To donate by Paypal, scroll to the bottom of this page and clikc the Paypal button. Individual donations are vital and deeply appreciated to help us continue to bring you independent news reflecting the public interest, not special interests, as well as sustaining our wildfire and emergency alerts--bringing you news when you need it most. You can also make a one-time donation to supprt a specific reporting project in your community. Monthly pledges are vital to help us to budget ahead for our news, alerts and events. 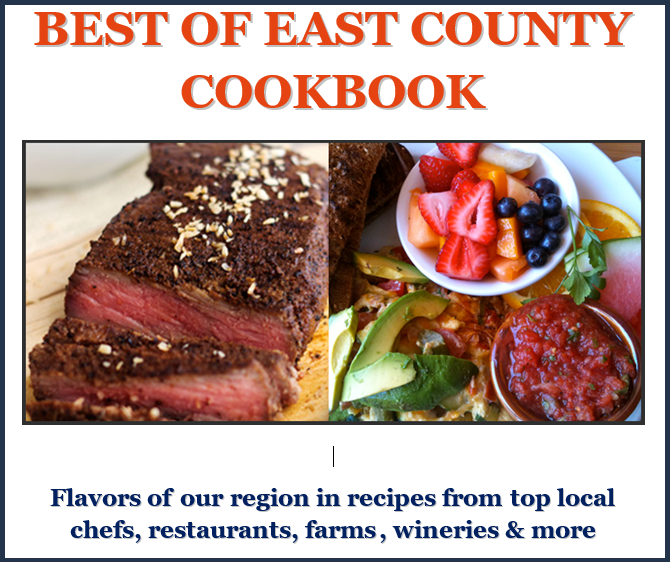 As thanks, we have rewards for our monthly donors including event discounts, Best of East County Cookbook, and VIP events. You can support any of these East County Media supported programs/projects or a special donation designation. Just write in your choice after clicking the "support" button filling in your donation amount. You will be asked for your donation amount, with option to choose a one-time or monthly sustaining pledge, plus option to write in what you wish to support.